FleetONE™ is a multi-sensor trending database product that extends the capability of your Wayside Monitoring hardware interface. 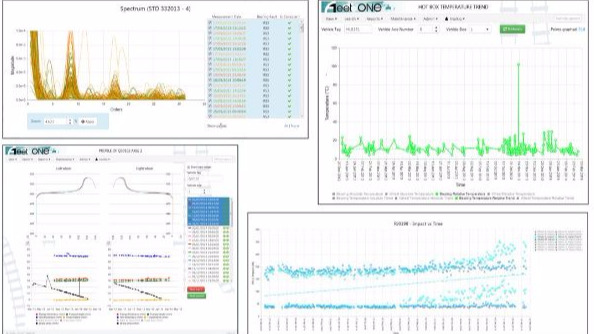 Facilitating vehicle monitoring and data mining via key vehicle metrics, delivered through a web-based application. FleetONE™ allows for the import of third party wayside sensor products thus providing a single data interface to the User. 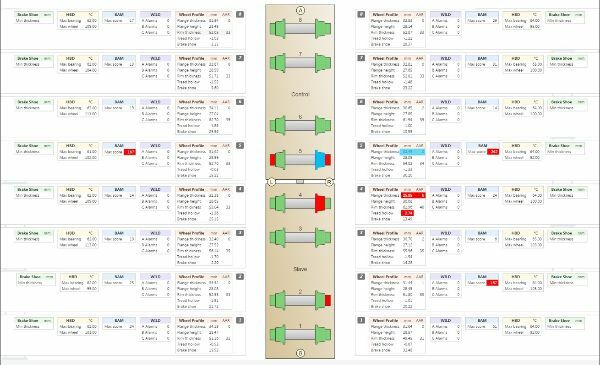 single interface for users to work with all condition-monitoring information associated with a user’s rolling stock. Leveraging this consolidation of data, FleetONE provides a number of customizable reports on the condition of the vehicle fleet. It also provides a powerful “search engine” that allows users to compose, save, edit and run ad-hoc searches on the database. This allows users to experiment with and determine their own condition based maintenance rules. 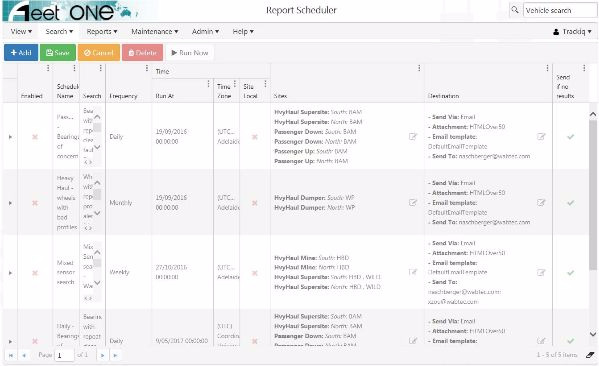 and Importing information about completed maintenance activities for inclusion in the generated reports. FleetONE is built as an expandable, modular system that interfaces to other vendor’s wayside sensors. Because each of these sensor systems are supported by installing an optional module and these remain fully independent of the overall FleetONE system. In this way, FleetONE serves as a high-level data integrator that does not interfere with or restrict the standalone operation of each of the systems in any way. Provides overall view of health condition of a given vehicle. Each column shows the alert and defect readings of each detector type. Colour coded compoments to indicate different level of alerts . Gives the user the ability to construct and run their own searches, and modify the criteria, then save, load, edit and re-run the query at any time. 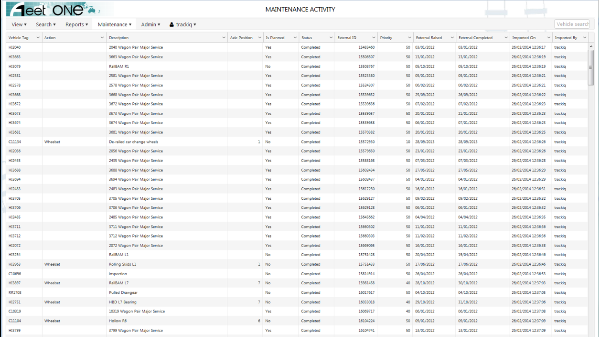 Maintenance management forms allows users to input the maintenance activities results into FleetONE so that the removed components could be excluded for trending analysis, and generate work orders which can be fetched by the maintenance system. 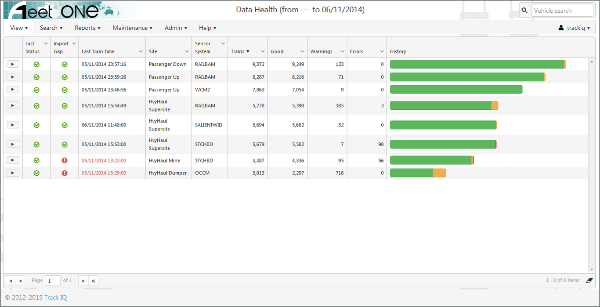 Data health form summarises the overall operation status of each system site and provide warnings for any abnormity.